Why shouldn't you squeeze a tea bag in hot water? Tea Bags: Why Shouldn’t They Be Squeezed In Hot Water? Have you ever been told by someone not to squeeze a tea bag after it has steeped in hot water? In fact, you may even see a printed advisory on certain tea bag packets telling you to avoid squeezing a tea bag (in water) after it’s been soaking for some time. Have you ever tried squeezing a tea bag in hot water? Why do people (generally) advise against it? A tea bag is a small, porous packet that contains dried plant material, which, when soaked in hot/boiling water, helps to make tea (or some other infusion). 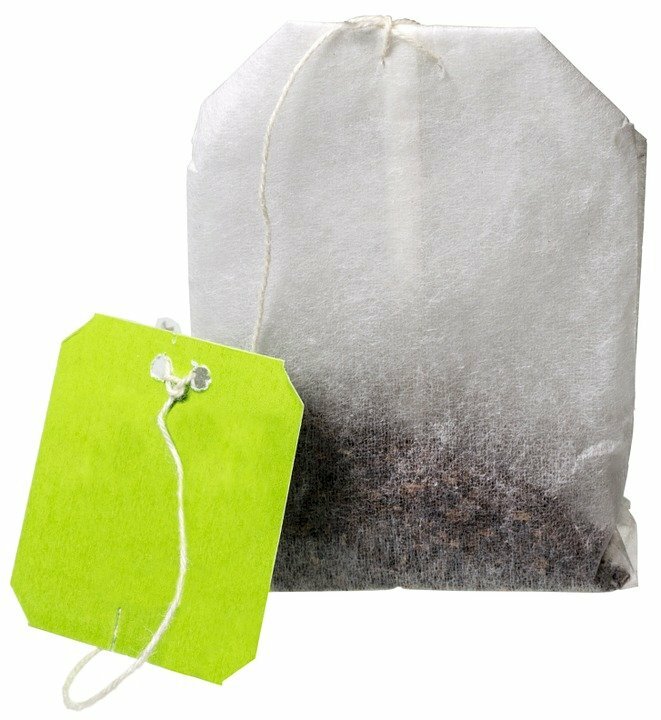 Tea bags are generally made of filter paper/food-grade plastic (plastic that is considered safe for food contact). Some tea bags are also made of heat-sealable thermoplastic, such as PVC. Paper tea bags are also treated with epichlorohydrin to keep them from disintegrating. 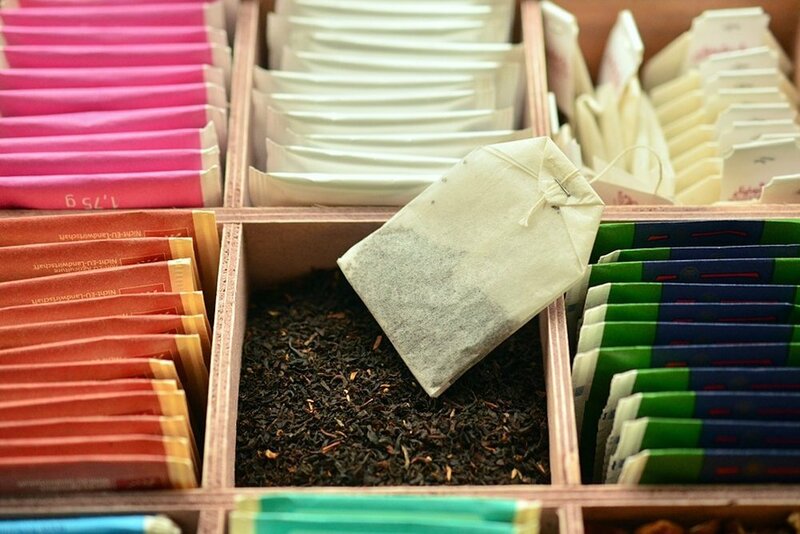 Originally, tea bags exclusively had a square or rectangular shape. However, modern tea bags come in tetrahedral and even circular shapes. There’s typically a small string attached to each tea bag with a paper label at the top. Tea bags have been used since the 8th century – in the era of the Tang dynasty. In those days, paper was folded and sewn into square bags so that tea flavors and aromas could be preserved for a (relatively) long time. That idea laid the foundation for modern tea bags. The modern version of tea bags first appeared in the Western World as early as 1903. 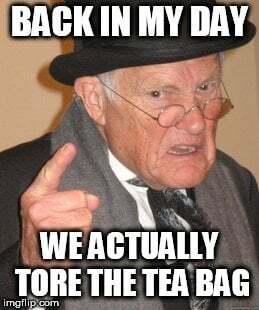 Commercially, however, tea bags made their appearance around 1908, when coffee importer Thomas Sullivan shipped his silk tea bags all over the world. Those tea bags were supposed to be torn before use, and their loose contents were then poured into hot water to brew tea. However, people found that it was more convenient to brew tea with the tea leaves still enclosed in the porous bags. Since dipping tea bags into water didn’t seem to cause any change in the taste, people gradually did away with the practice of removing the tea bag, and started dipping it directly into hot water instead. As mentioned earlier, it’s generally advised to not squeeze a tea bag soaked in hot water. The reason is very simple, and involves some basic chemistry. You see, tea contains tannins. 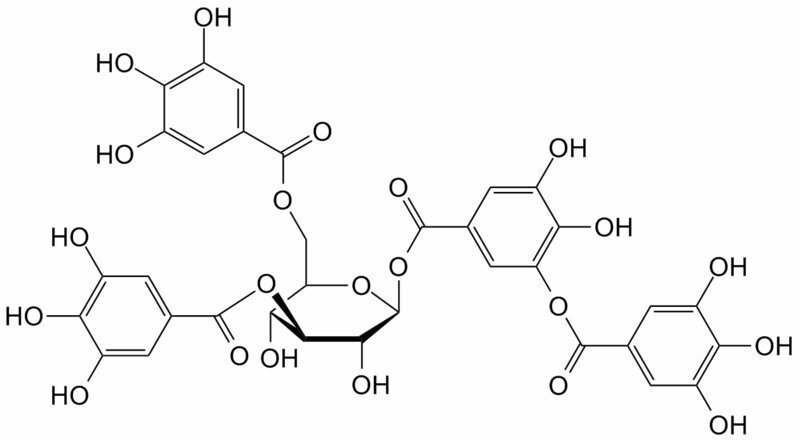 Tannins are a broad class of compounds that are widely distributed in many species of plants. More specifically, tannins are a class of astringent polyphenolic molecules that bind to and precipitate proteins. People often confuse tannins with tannic acid, and mistakenly use these terms interchangeably. However, it should be noted that tannic acid is simply a type of tannin. Many fruits and vegetables, including pomegranates, berries, nuts, legumes, cloves, vanilla etc. contain tannins, which offer quite a few health advantages. However, they are also the reason why a tea bag should not be squeezed in hot water. You see, when you dip a tea bag in hot water, a small concentration of tannins (present in the tea leaves inside the tea bag) gets mixed up with the water, but most of it stays with the plant material. When you squeeze a tea bag, more and more of those tannins are released into the liquid. The result of this is that the drink becomes too bitter, or as some call it, ‘too strong’. 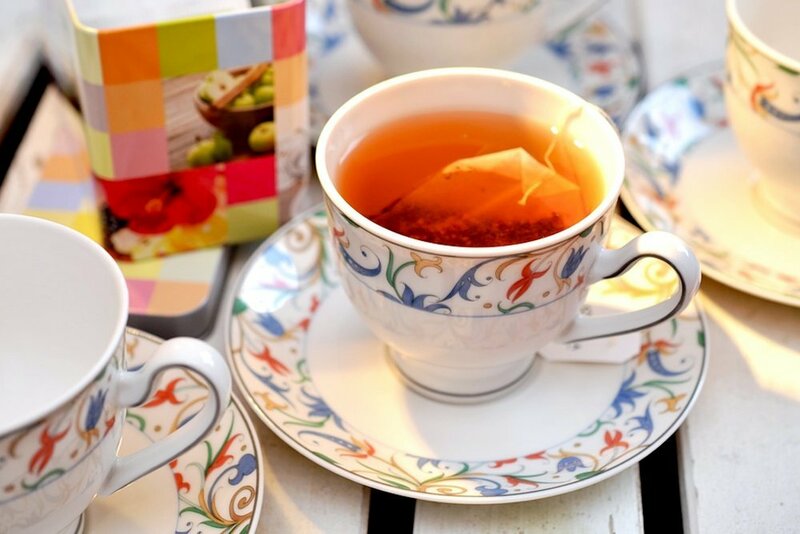 However, some people actually prefer a bitter tea, so they actively squeeze their tea bags to release more tannins into the hot water, and then enjoy a beverage that is generally considered too bitter for most people. All in all, whether the flavor of a drink loaded with tannins is desirable depends entirely on personal preference, but if you like your tea to not taste bitter, then squeezing your tea bag after it steeps is simply not your cup of tea!